Some 4,600 years before the Common Era, a mysterious civilization emerged on the shores of lakes near the Black Sea—not far from the modern-day city of Varna. For its time, this Varna culture was amazingly advanced, both culturally and technologically. The first evidence of its existence was found in lovely ceramics, bone and stone idols and copper tools. Then an astounding chance discovery came to light, making headlines around the world. 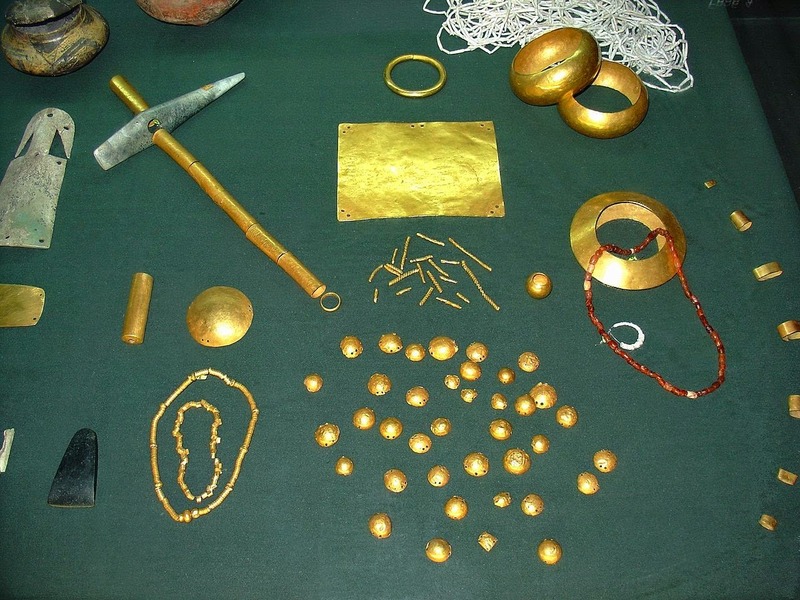 Just a few kilometres from Varna was a Copper Age necropolis (cemetery) containing the oldest gold objects ever discovered. Between 4600 and 4200 BCE, long before Mesopotamia or the Egypt of the pyramids, goldsmithing first began on the shores of the Black Sea, in the land that is today Bulgaria. Study of the 300 or so graves in the Varna I necropolis showed that there was a highly structured society here in the Copper Age. The richest graves contained gold diadems and sceptres, heavy copper axes and spear points, elegant finery and richly decorated ceramics. A large amount of shell jewellery was evidence of trade with the South, for the molluscs in question were from the Mediterranean.